Many attempts have been made to reconcile these contradictory statements. Some commentators have speculated that one version is a Roman hour and the other version is a Jewish hour. To the best of our knowledge, no one has questioned the use of the “hour” as a measure of time. Every commentator has assumed that the hour stated is correct and original to the story without questioning the use of the hour in the narrative. We learn from various sources that the ancients, Romans included, used hours. However, no one has stated why the luxury of dividing the day into smaller units would be necessary-one farms or tends animals during the day and sleeps at night. This apprentice could not find a reason for the subdivision into hours until the late Middle Ages. The hourglass may have been introduced in the 8th century, but the earliest evidence we have of an hourglass dates from 1338 and 1345. 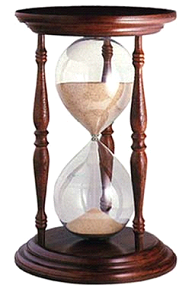 Historians guess that the hourglass was introduced in the 8th century. The hourglass determined longitude with greater accuracy. Traveling overland from Constantinople to Venice was measured in days, not hours. With the advent of sea travel, greater accuracy was needed to determine longitude. The hourglass using sand was introduced. None of the clocks survived from 13th century Europe. Early clock dials did not indicate minutes and seconds. 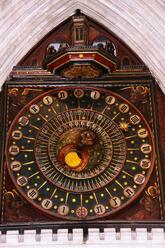 No clocks survive from the 1200’s and, if they did survive, we are assured that they would not show minutes and seconds. Canonical hours varied in length as the times of sunrise and sunset shifted. The day was not divided into 24 equal hours. The hours varied according to the length of daylight. That is, the hours would be longer in the summer and shorter in the winter. Simple clocks intended mainly for notification were installed in towers, and did not always require faces or hands. Clocks that do not require faces or hands are an odd type of clock. It seems their only purpose would be to alert the populace to the time of the worship service. From 1292 to 1322, there are brief mentions of clocks at a number of ecclesiastical institutions in England, Italy, and France. "Brief mentions" could indicate that these clocks where not common. 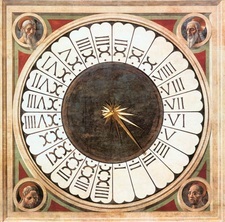 A clock with a dial indicating minutes was illustrated in a 1475 manuscript. Since the AD dating was not constantly used until the late 16th century, it is possible the manuscript is misdated. Regardless if it is misdated or not, the subdivision of an hour into minutes is a recent innovation. From the above, we can confidently state that the concept of “hours” was unknown in Europe until the 13th century and minutes date from the 15th century. Certain historians and philologists expect readers to believe that something so useful as hours was utilized by all ancient civilizations and fell into disuse and were forgotten during the European Dark Ages. We can confidently conclude that the additions of the “third hour” and the “sixth hour” could not have been written before the 13th century. Since the details of the Crucifixion narrative were still being determined as late as the 16th century, we should not be surprised that the addition of the “hours” was added to two of the Gospel versions at a later date. That the time was not referenced in all versions of the Crucifixion narrative, we can conclude that the original story did not indicate the time. 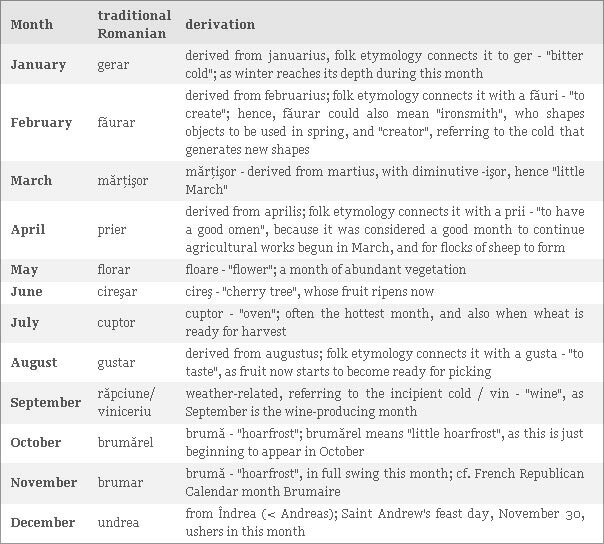 Surprisingly, the use of the Julian Calendar names of the months was not universally utilized in Europe until the 20th Century. As late as the end of the 19th Century, Bulgaria, Romania and Macedonia were still using the traditional names of the months and not the month names used by the ancient Julian Calendar, allegedly dated 44 BC. Since the Roman month names were being adopted at such a late date, we are confident that the time of the Crucifixion were not original to the story.